Petron Corporation, one of the country’s leading Oil Company, give its loyal customer further easy access to enjoy the rewards and benefits of the Petron Value Card (PVC). Petron Corporation empowers a more engaging communication with their loyal customers by using their fingertips with the tool PVC mobile app. 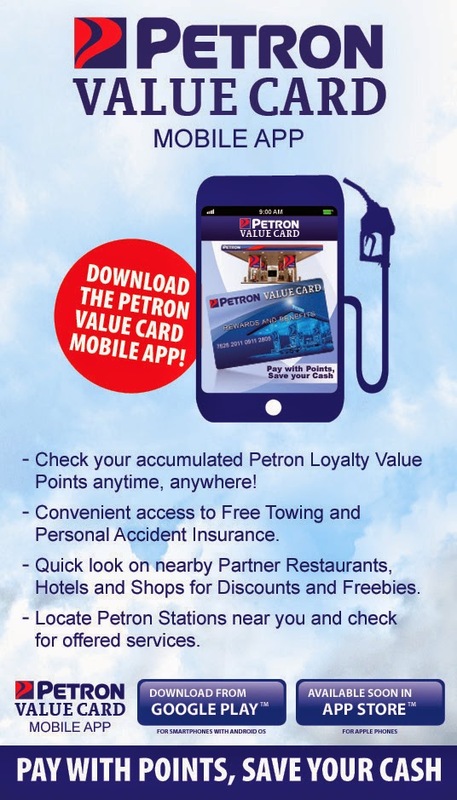 For even more accessibility, Petron Value Card mobile app can be downloaded from Play Store and App Store, after a one time registration for app activation, the loyal customer may get an instant updates on Value Points and information of his last 20 transactions via “Points Inquiry Utility”. The 3rd Customer Loyalty Conference & Expo with this year’s theme Age of Engagement will allow you to network with like-minded individuals and corporate decision makers focused on maximizing the opportunities that loyalty and rewards program provides. 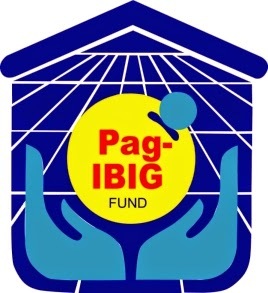 FOLLOWING the successful launching of the “loyalty card” program of Pag-IBIG Fund, The Home Development Mutual Fund or Pag-IBIG Fund will sponsor the 3rd Customer Loyalty Conference and Expo that will be held on October 24, 2014 at New World Hotel, Makati City. According to Mr. Alexander Hilario G. Aguilar, Senior Vice President for Provident Operations Sector, the Pag-IBIG Loyalty Card is Pag-IBIG Fund’s way of showing how it values its members. The goal of the Pag-IBIG Loyalty Card program is to make Pag-IBIG Fund more relevant in the daily lives of its members by adding benefits to its members in the form of discounts and freebies on their purchase of their daily needs from Pag-IBIG’s partner-merchants. Offering the Pag-IBIG Loyalty card to Pag-IBIG members is one way of showing its commitment to its members and thanking them for their loyalty to Pag-IBIG. The Loyalty Card contains the Pag-IBIG member’s permanent 12-digit Pag-IBIG Fund Membership ID (MID) Number. By presenting this card, the cardholders can avail up to 60% discount on Pfizer brand medicines, 5% discount on generic medicines from TGP, 10-20% discount from partner-schools, and P10.00 discount per 11 kg, Tank from the partner LPG provider, Pag-IBIG savings should be updated for the member-cardholder to enjoy uninterrupted use of his/her Pag-IBIG Loyalty Card. The Pag-IBIG Loyalty Card is initially available in Baguio City and the provinces of Cebu and Davao. It will soon be offered in Metro Manila and other areas of the country. Pag-IBIG members with the Loyalty Card can now enjoy perks and privileges from 34 partner-establishments by presenting the Card upon transaction. Cardholders can get great deals for their healthcare needs, fuel purchases, dining, and school enrollment. The Generics Pharmacy (TGP), and SM. Penong’s Barbecue and Seafoods Grill. The Pag-IBIG Loyalty Card differs from other loyalty cards as its discounts and other benefits are on the daily needs of its members, identified through a research study. Moreover, it is able to combine a vast array of discounts and benefits from several and a wide array of partner-merchants making its set of benefits unmatched. Pag-IBIG’s partnerships with partner-merchants are non-exclusive and as such, the number of partners is unlimited. Thus, its benefits are also unlimited. Further, the Pag-IBIG Loyalty Card, due to the universal nature of Pag-IBIG Membership, is practically open to every Filipino who earns at least P1,000 a month (as long as they register as Pag-IBIG members first). Pag-IBIG membership is mandatory in nature, governed by R.A. 9679 which requires all Filipino workers earning at least P1,000, whether located within the Philippines or overseas, to register with Pag-IBIG. "The Pag-IBIG Loyalty Card is but one of the many benefits of being a Pag-IBIG member. Additional benefits include access to housing and short-term loans, as well as to the effective savings mechanism for workers," Mr. Aguilar added. Contact 3rd Customer Loyalty Conference & Expo at info@exlinkevents.com , www.exlinkevents.com , www.customerloyaltyconference.com.ph trucnk line 643 38 87 | 643 77 60 | 0920 924 2532 for more information log on and like us on Facebook: www.facebook.com/loyaltyandrewardsconferencephilippines Follow us on Twitter: www.twitter.com/LoyaltyPH , This event is produced and organized by Ex-link Events in partnership with Philippine Marketing Associations. Philippine Retailers Association (PRA) partners with Exlinkevents in presenting the 3rd Customer Loyalty Conference. PRA is the leading organization for Filipino retailers in the country. It is the pulse and voice of the retail industry in the country. The Philippine Retailers Association (PRA) first came into being as the Chamber of Philippine Department Stores and Retailers, Inc. (CPDSRI) in 1976. 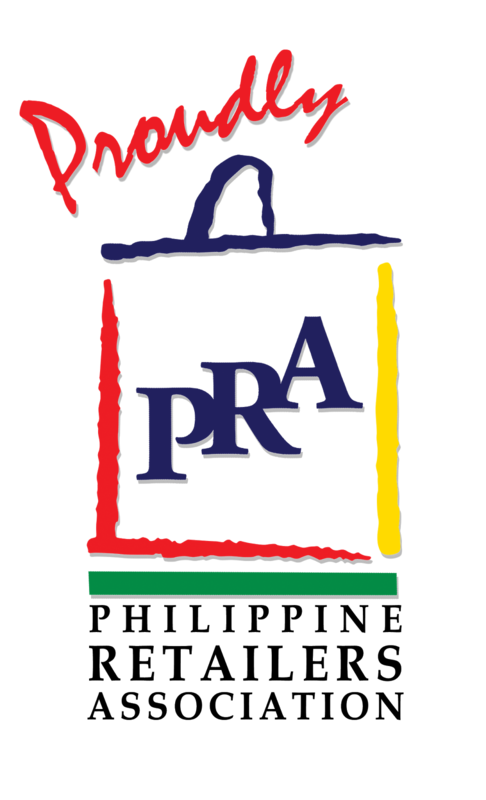 In 1991, after winning the bid to host the 6th Asian Retailers Conference and Expo, the bi-annual event of the Federation of Asian Retail Associations (FARA), the Chamber changed its name into Philippine Retailers Association and adopted the now famous shopping bag logo. Next year, PRA is hosting the Asia Pacific Retailers Convention and Exhibition (APRCE) where retailers all over the world will converge here in the country. The 3rd Customer Loyalty Conference is the longest running conference for customer loyalty and rewards program. Loyalty Managers, CRM Managers, Social Media Managers, Content Marketing Managers, Chief Marketing Managers, and Business Owners gather in this event to learn the latest trends in the loyalty and rewards program. The 3rd Customer Loyalty Conference is set this October 24, 2014 at New World Hotel. The rapid changes in technology completely alter the way we do things and, as this is being written, the changes are super fast and ongoing. However, there are positive changes that technology has already made obvious in relation to the way companies and brand relate to us. The brands became social. It became a person that talks to us. It became a friend sitting besides us. It is now a personality that we love or hate. Brands and companies are not anymore passive objects. They are animated. They engage us whenever they can. Their engagement is now at the point that they are almost in every corner of our lives. We see them and we cannot escape from them. This is what is meant by the rise of omni channel. The data that technology can provide about us are enormous. 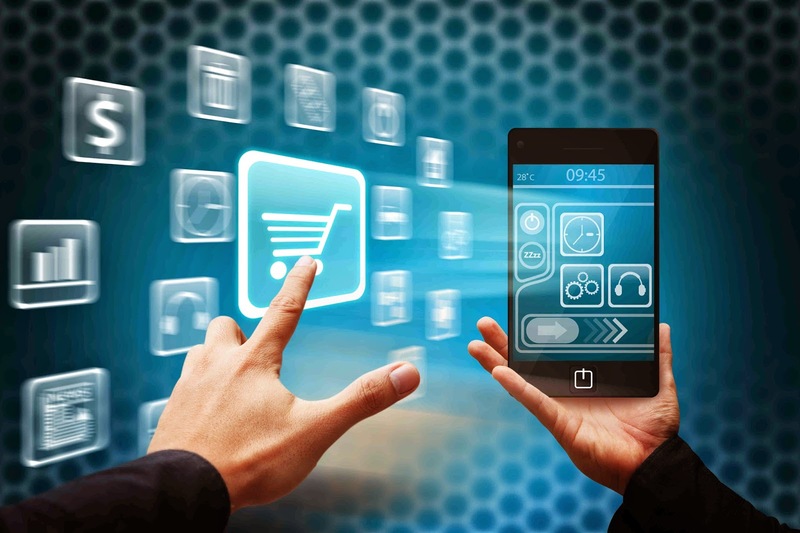 The data and the technology platforms have allowed brands and companies to be connected in the markets they are operating. The data produced gave out blueprints to our current behaviors. On the other hand, technology provided the means to harness the benefits of these blueprints. The brands and companies did not waste any time in harvesting these benefits. Connectedness is one of these benefits. We are now called Prosumers – proactive consumers. This became possible because of the explosion of information. We are now getting information more than we have 10 years ago. This is progress. This is power within our hands. The proliferation of Loyalty and Rewards Program is aided by technology. We are enjoying the special attention given by brands and companies. We are now rewarded. These rewards are delivered to us by means of technology. In summary, these five important things are inherent in the technology developed. For loyalty and rewards program managers and marketers it is now more compelling to maximize the technology. Lastly, if all things being equal in terms of technology usage, loyalty and rewards manager and marketers must push their creative minds to be surprisingly different. Indeed, it is an exciting time.